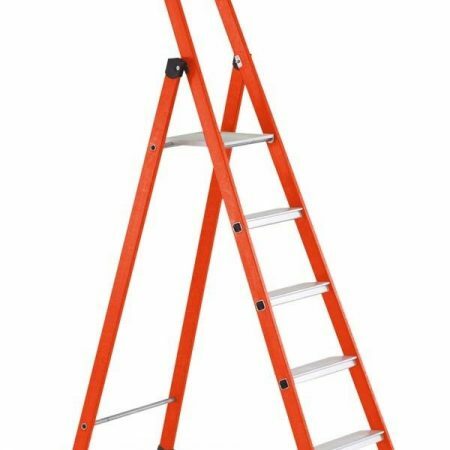 Step Ladders are perfect for so many uses in and around the home when you just need to reach a few feet higher than normal. 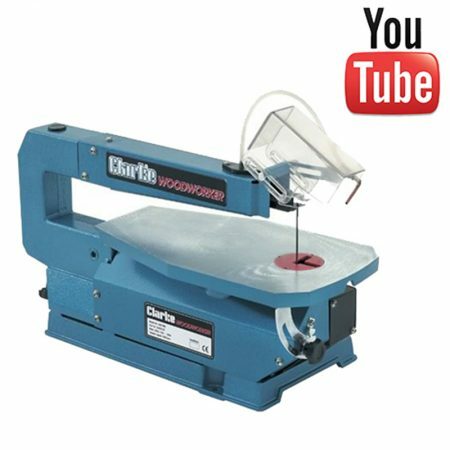 You can use them for accessing cupboards or for painting walls or changing light bulbs. 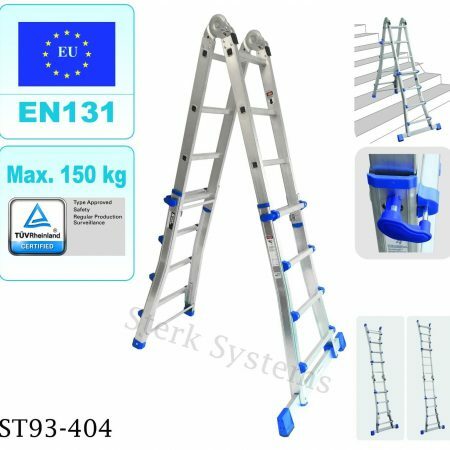 Six types of step ladder are available from Sterk Systems. One of these is bound to be ideal for your needs. We have specially selected them for their combination of economy, safety and versatility. Double-side steps give you the flexibility to approach and work from either side so two people can often work together on the same task. 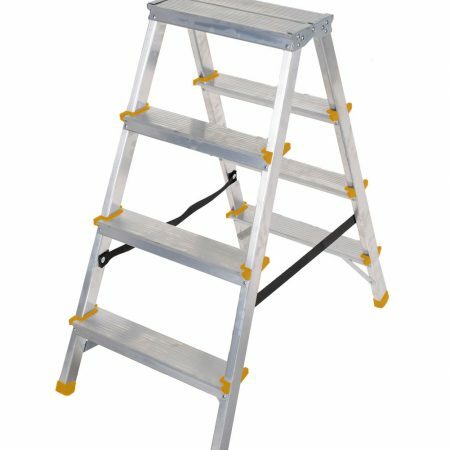 Fibreglass steps are essential if you often work with electricity. They come with attractive yellow uprights and some have a top bar with specially designed holes for screwdrivers, paintbrushes and other tools. 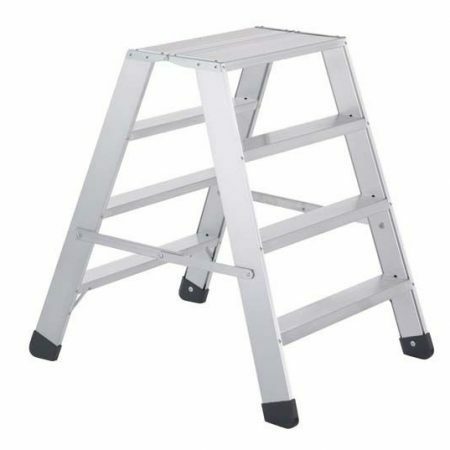 Fibreglass Platform Steps are also available for extra stability. 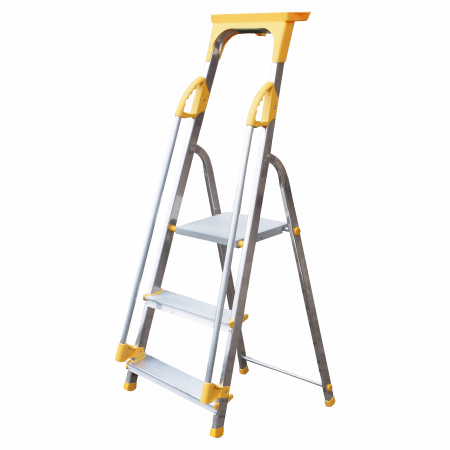 Hop up steps are ideal for the kitchen or garage when you just need to reach that high cupboard or shelf. You can tuck them away into a very small space so they won’t clutter up your workspace. Hop Up Steps are lightweight and easy to carry. Platform Hop Up Steps are also available which offer a slightly larger standing area. Kitchen steps are ideal if you just need to reach that top shelf or low level ceiling. Storage is easy. Kitchen Step Ladders fold up flat and will tuck away into a small cubby hole. So convenient and safe. 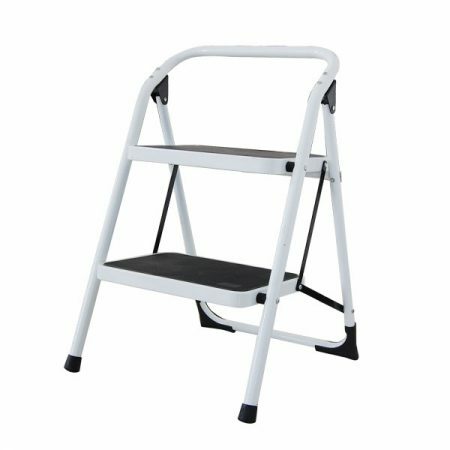 Platform step ladders offer a working area that can be used either for standing on or for resting tools while you work. 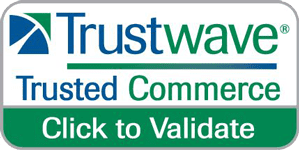 A wide range of options is available from affordable domestic platform steps to specialised warehouse steps complete with rear wheels and handrails. 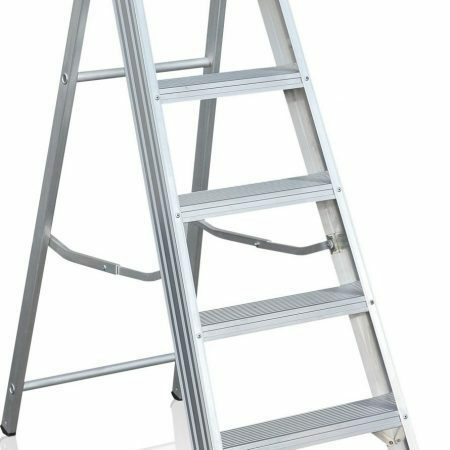 Swingback ladders have the classic ‘A’ frame, made to be opened and positioned ready for use in seconds. They do not have a platform at the top but often have a top bar with slots for tools and accessories while you work. They have optional aluminium side bars for extra safety. A fibreglass version for electrical work is also available.